Loot Crate DX March 2018 Unboxing – AiPT! We unbox the latest Loot Crate DX box. As you can see we were pretty pumped about this box. It’s well timed with Ready Player One hitting theaters in America yesterday and the video game theme works well with that. The Batman toys are a nice throwback to the animated series and the Back to the Future bag, while not made of super-strong materials, is pretty cool. We even liked the pins this month which are a throwback to classic video games. The blanket is nice, although we probably will regift it. The shirt meanwhile is a little too busy for our tastes and we aren’t quite sure what all the letters and numbers are on the left side. 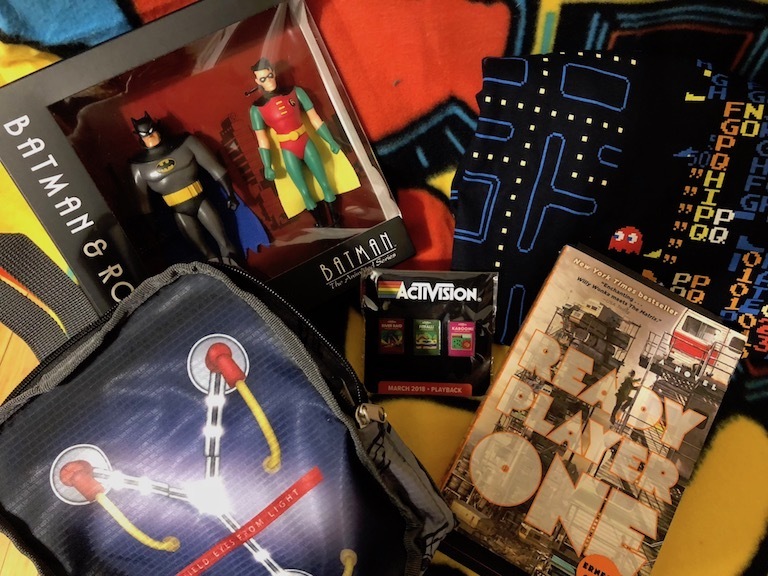 Check out a gallery of what we got below and if you’re interested you can sign up for Loot Crate at the bottom of our score box! A strong box with lot's of goodies folks will enjoy.